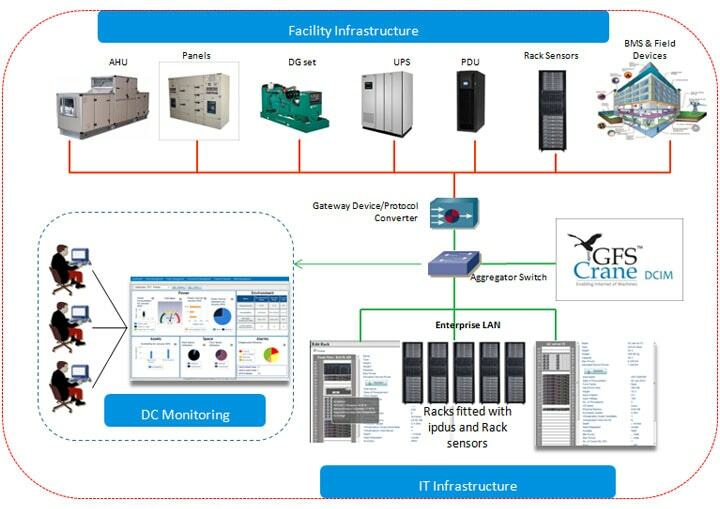 GreenField Software’s Industrial IoT application portfolio includes GFS Crane DCIM for Enterprise Data Centers. Available as on-premises deployment (both Perpetual and Term Subscription licensing), it fits different sizes and characteristics of Enterprise Data Centers. For Multi-tenant Data Centers, see GFS Crane DCIM for Colocation Data Centers. For small captives and server rooms, see GFS Crane Cloud, a hosted service for device monitoring and asset management as a service.